Well, there you have it! Just like that first term is almost over . 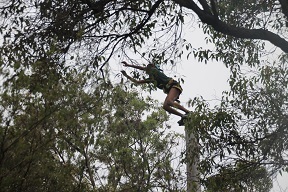 The students achieved so much this term, from swimming laps in the pool to running laps around the College for the Cross Country, Netball sign ups, Hockey training, playing tennis, trying synchronised swimming (Year 10s), Troupe, Ballet, Choir, Homework Club, Maths Club and the list goes on and on. Here at St Brigid’s, we offer so many activities for the students to participate in before school, during lunchtime and after school. 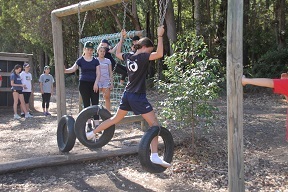 These activities are provided by the staff to help the young girls academically, socially and physically. Year 9-11 students have also attended workshops run by Elevate Education. The seminars provided the students with study tips, and advice on how to create a study timetable. Below is the link that parents now have access to https://au.elevateeducation.com/ Click on the Student Portal, and you will have access to everything from ways to motivate your daughter to study, to how help them set up a study timetable and manage stress. You will need to type in the word rondo as the presenter’s name. 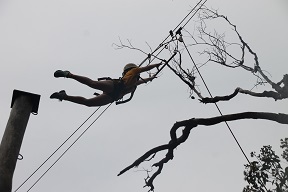 Year 8s went to the HBF Challenge stadium and took risks on high ropes and team building support activities. 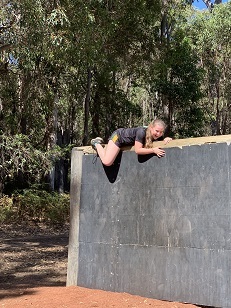 A wonderful day was enjoyed by all the girls and it was great that majority of the of them took part in the leap of faith jump, and I believe all of Claremont heard the girls screaming!! 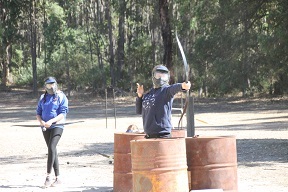 The Year 9s went to Dare Adventure Camp Dwellingup where they competed in the commando course, team building and archery with a difference (ask your daughter to tell you about this). 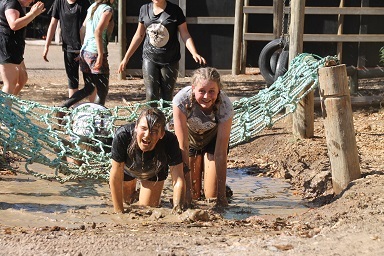 A great day was had by all, with some of the girls enjoying especially the mud crawl. 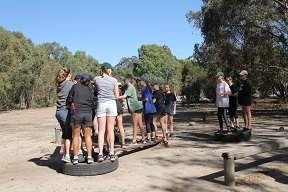 Our Year 10s had their first social with Mazenod and this year, they went Ice Skating. Both the young ladies and gentlemen had a good time, despite some of them going home with sore ankles and a couple of bruises from all of the spills that occurred on the evening. Our Year 11 and 12s have all been working hard on their studies and with the support from their teachers are all doing well. May I suggest that you remind your daughter to have short breaks during her study time and to drink plenty of water. A break where she gets up and goes for a quick walk, or even plays with the family pet, not a break where she goes on her phone. Next term, the girls need to come to school wearing their winter uniform. The blazer, stockings, skirt yellow blouse and jumper. However, if your daughter has sport, or dance period two or three, then she can come to school wearing her winter sports uniform and making sure that she has packed her complete winter uniform that she can change into during recess or at the end of her sports/dance lesson. Stay safe over the break, have a happy Easter and make sure that your daughter/s help out around the house!